JP Steel Plantech Co. (hereinafter called as “SPCO”) received an order from Formosa Heavy Industries Corporation (its head office: Taipei, Taiwan) for a full set of new Basic Oxygen Furnace steelmaking plant to be installed and operated in Ha Tinh province, Vietnam. 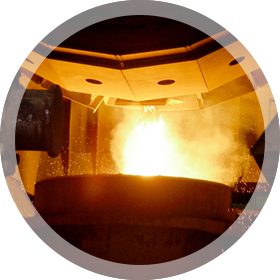 Invested by Formosa Plastic Group, Formosa Ha Tinh Steel Corporation Vietnam was established to build the first blast furnace integrated steelworks in Vietnam. The capacity of the steelmaking plant at Phase-I is 7 million tons, expanding to 10 million tons by Phase-I+1 and eventually plans to be more than 20 million tons per year. SPCO has signed the contract with one of the major companies of Formosa Plastic Group, Formosa Heavy Industries Corporation and SPCO will perform design, manufacture and transportation of a complete set of mechanical and electrical-instrumentation equipment. The basic construction of plant site as well as port facilities are in progress smoothly. The start-up of operation of the BOF steelmaking plant is planned at the end time of May 2015. Overcoming difficulty of strong Japanese Yen against weak Euro, our past performance and the state of the art technology in the BOF steelmaking plant were appraised by Formosa Plastic Group. In the recent materialized new integrated steelmaking plant in Asia, continuing to the order of Hyundai Steel Company in South Korea, SPCO will serve the important roles again for steelmaking facilities in Vietnam for Formosa Ha Tinh Steel Corporation Vietnam.